This PGF Double-Action Sickle Bar Mower features a 6ft. cutting width to quickly take care of tall brush and hay. It's the ideal choice for mowing ditch banks, ponds and hedge rows. The double action mower has both blades and teet.. 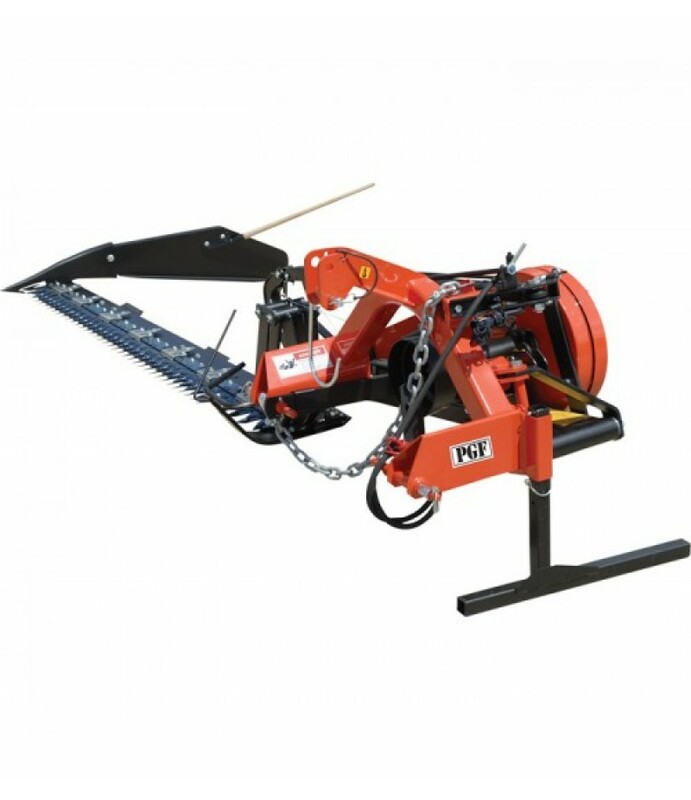 This PGF Double-Action Sickle Bar Mower features a 6ft. cutting width to quickly take care of tall brush and hay. It's the ideal choice for mowing ditch banks, ponds and hedge rows. The double action mower has both blades and teeth that move in opposite directions, cutting at twice the normal speed. Category 1 quick hitch compatible for use with tractors from 20 to 75 HP. A single action hydraulic cylinder helps make lifting the bar and adjusting the cutting angle easy.